The Egazini Memorial now consists of two parts. 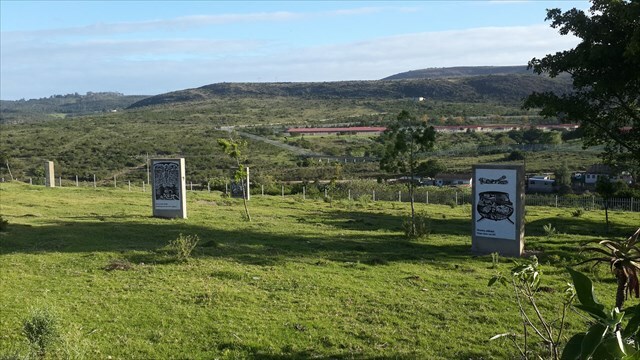 The original memorial was unveiled by the Department of Arts & Culture in 2001, and consists of a raised toposcope on the far corner of the original battle site. The battlefield site is used as an informal playing field, and the toposcope is now in a state of poor repair. A newer part of the Memorial was established in 2015, and is within a fenced off area to the West of the battlefield. 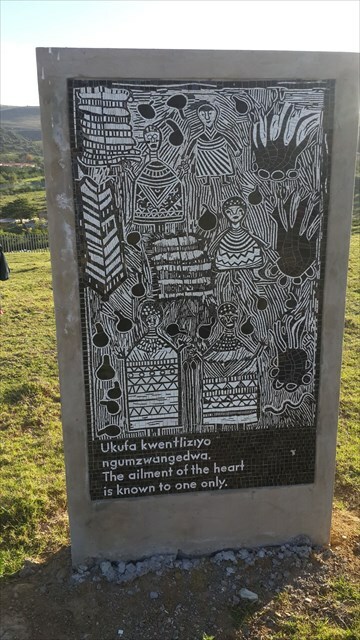 This area houses a number of mosaic pillars by local artists, each commemorating some aspect of the history of Egazini/Battle of Grahamstown and the surrounding areas (many depict amaXhosa proverbs). 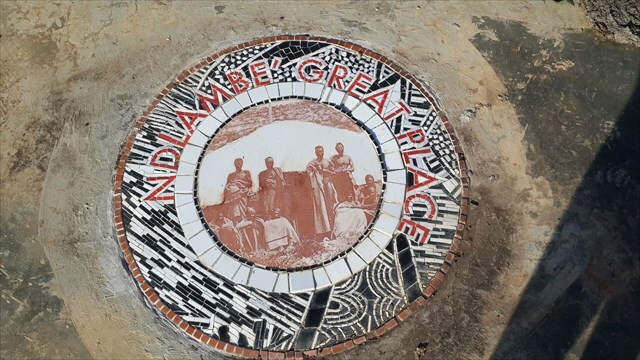 There's also a mosaic toposcope pointing towards some of the key places in early Grahamstown/iRhini's history. Most of the artwork was developed by the Egazini Outreach Project. The cache is located just within the fenced area of the newer part. It is a small container, but has some space for tradables. Please leave the pencil & sharpener for people to sign the log. The entrance is to the East of the fenced area, and it is possible to park off the road at that point. There's a gate that's sometime unlocked, and a more informal entrance further down (co-ordinates as a reference point). Although the cache is technically accessible 24/7, you probably want to look for it during daylight hours. The area where the cache is located is close to a well used footpath, so some stealth may be required.